At one point or another, you’ve probably enjoyed mint. But did you know there are tons of different types of mint? In this article we explore two of the most popular kinds, peppermint vs. spearmint. And, we look at the difference between spearmint and peppermint. Mint can often be found as a palate cleanser after some meals. In many cases though mint is used as flavoring. They often have a gentle and mild flavor that makes them blend well with foods that are either bland or too decadent. Some popular mint flavors you’ve probably enjoyed include that in coffee, chewing gum, chocolate and other desserts like ice cream. So what’s the difference between peppermint and spearmint. 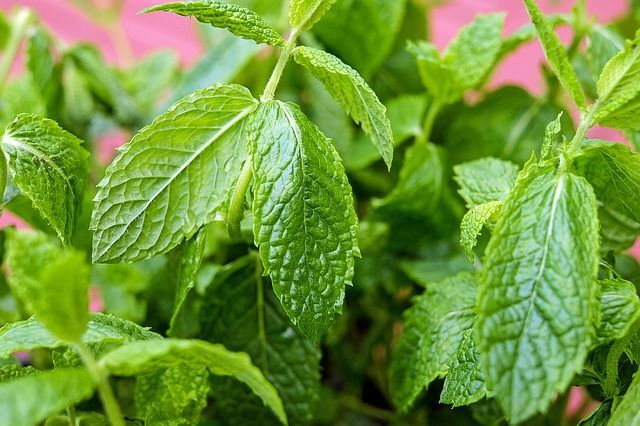 Here are some of the essentials you should know about each of these types of mint. Peppermint and spearmint are two types of herbs that come from the same plant family. First, let’s take a look at peppermint. This plant is a cross between spearmint and watermint. So it is, in essence based on spearmint. Peppermint naturally grows in parts of Europe and Africa. And, these plants have green and purple colored leaves that are long and narrow. Spearmint meanwhile, is a natural plant that has a grayish green color. The leaves on this plant are circular. Both of these plants taste like mint. They have a flavor that is a cross between pepper and chlorophyll. 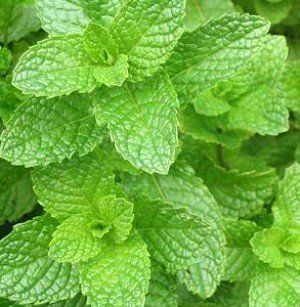 People are familiar with this taste because it is recognized as mint or menthol. When it comes to flavor however, peppermint has a stronger and more powerful mint taste compared to spearmint. Peppermint’s taste is overwhelming and strong. This is the reason that it is commonly used in candies and other food products. The taste of peppermint is also used in some tobacco products. Menthol cigarettes are created from the strong minty taste from the peppermint plant. Spearmint has the mint taste but it is not as strong as the peppermint. Because of this, spearmint has a natural milder taste that is more compatible with a person’s palette. The milder flavor makes it more ideal to use when you don’t need as strong a taste profile. This type of mint is used in some candies as a flavoring. It is also used in some brand of toothpastes and within some cosmetic products. 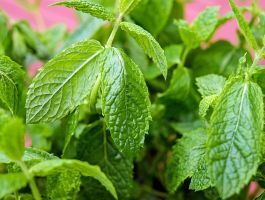 Aside from being used as a food ingredient or flavoring, both spearmint and peppermint are also often used for medicinal purposes. As with many herbs, they offer medicinal benefits. Peppermint has been known to prevent cancer. And, it is often used as an elixir for upset stomachs. Other medical uses for peppermint include the prevention of bacterial growth. Plus, it helps to open a person’s airwaves. Certain substances found inside of peppermint is able to keep a person’s airwaves open to help unclog the nasal opening. This makes it a good herb to use when you have a cold or stuffy nose. Spearmint on the other hand, is often used to ease a person’s stomach. And it also works to help reduce gas within the body. This plant can be used to alleviate nausea, headaches and various cold symptoms. Similar to peppermint, spearmint is also an antibacterial agent. And, it too does have the ability to help a person’s respiratory system. Over the years, people have figured out how to combine the mint taste from peppermint and spearmint to create a variety of different foods. One of the most popular beverages that you’ll find these mints is in tea. If you look closely at what your tea is made of, you’ll notice that it is a common food product that is made from the peppermint and spearmint leaves. Meanwhile, chocolate and peppermint is a classic combination. Many people like to eat peppermint with their chocolate because the flavors mix very well. Because of this, many chocolate manufacturers have peppermint flavors incorporated into their chocolate products. Mint candies, such as candy canes or hard mint candies are also a favorite. Some brands of candy bars and gums use peppermint as a flavoring. Also, peppermint candies tend to have a “cooling” effect within a person’s mouth because of the natural substances that are found within peppermint. Remember this candy is a strong form of mint. Spearmint is often used in candies but it is also used in various foods as well. 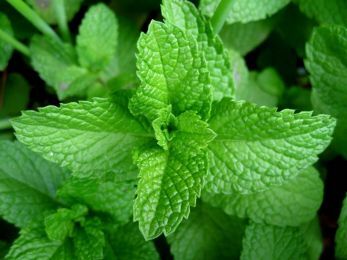 Many salads, vegetable and meat dishes require the use of spearmint. This plant is also used in many desserts and other sweet food products. Both peppermint and spearmint herbs, oils and flavoring can be found within many kitchens all throughout the world. Green Tea vs. Black Coffee: Which is Better for You? Splenda vs. Sugar: Which is Healthier? Is Brown Sugar Good for You?